EU lawmakers have agreed on two new systems for settling disputes between shoppers and traders over goods and services sold online or across EU borders. The Parliament hopes to “protect shoppers better and boost their trust in traders”, as the EU tried to clamp down on fraudulent sellers exploiting differences in national regulation. The deal, struck between the EU ministers and MEPs on Tuesday (11 December), would set up an impartial mediation mechanism to resolve disputes outside courtrooms, read an EU statement. 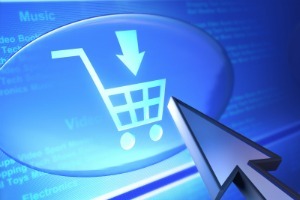 "An effective low-cost rapid redress mechanism which protects citizens is fundamental for the rapid development of e-commerce, which represents a crucial stimulus for growth in Europe's single market", said the MEP responsible for drafting part of the legislation, Louis Grech, a Maltese MEP (Socialists and Democrat). The agreement relates to two draft laws – Alternative Dispute Resolution and Online Dispute Resolution – which still require the formal approval of the two EU lawmaking bodies. Many EU countries already have systems for out-of-court settlements but a lack of awareness or patchy coverage make it difficult for shoppers to use them, the Parliament says. The new laws would apply both online and in shops and dispute resolution would be free of charge or cost only a “nominal fee”. According to the agreement, a settlement would generally take no longer than 90 days. A separate regulation will deal with consumer rights online, establishing a web platform to help unhappy shoppers identify the best course of action for their dispute. The European Commission will run the platform, which will be accessible through the “Your Europe” web portal. The Parliament said it hoped the laws would provide online shoppers with a much needed sense of security. "Consumers and traders, especially smaller ones, feel insecure when carrying out cross-border transactions online,” said Ró?a Thun, the Polish MEP of the European People’s Party spearheading the proposal on online dispute resolution. “They are missing out on the potential of the single market because they do not know where to turn for help if they encounter a problem,” she added. In November, the European Parliament gave its support for similar regulation dealing with in-court disputes across EU borders. “I want to ensure that consumers are as protected when the are shopping online or across borders as they are at home,” said Commission Vice President Viviane Reding, in charge of fundamental rights and citizenship. 18 Dec.: The deal is expected to be endorsed by the European Parliament's Internal Market Committee. Early 2013: The texts are to be voted on in plenary.